The fall, or autumn, season comes after the hot summer, when you tend to move your kitchen outside to cook in the open air. This season is characterized by the changing colors and harvest festivals. 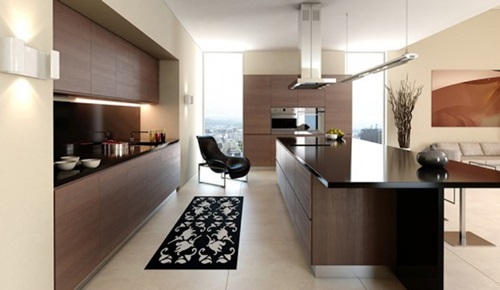 To decorate your minimalist kitchen using this theme, try to find a semi-open space and natural-like materials. 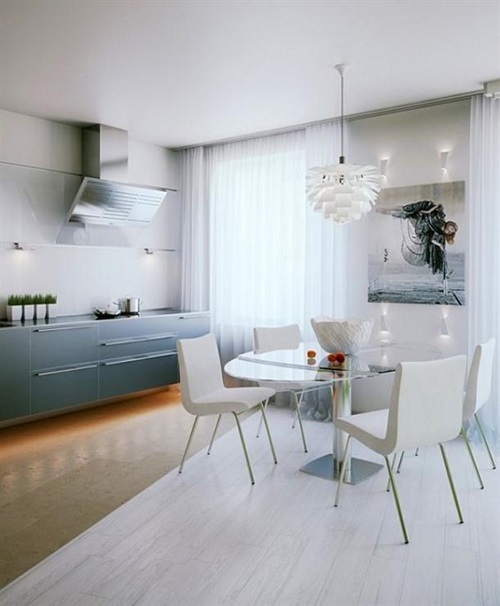 Your minimalist kitchen’s walls should reflect the fall season’s colors such as the mixture of burnt orange and red colors. 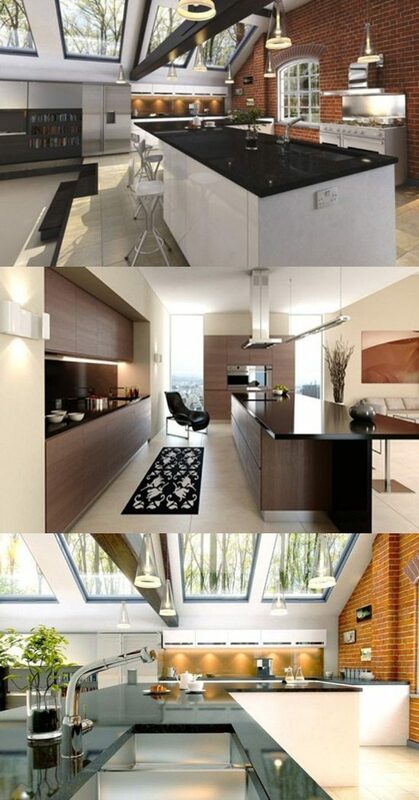 The brick tiles, and the beige and brown colors will give your kitchen a warm minimalist look. 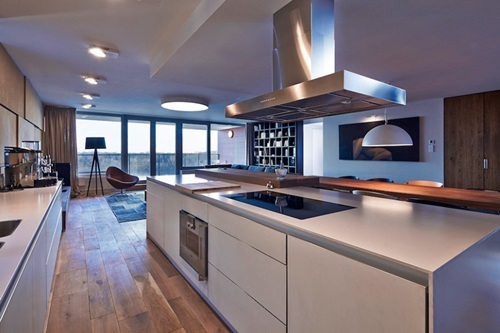 The wooden beams in the low ceiling will be a durable base for the glass lamps and their sleek covers. 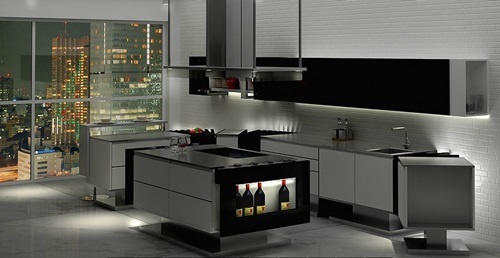 The appliances of your minimalist kitchen may have white and black colors to show the clear and wide space that you need in your kitchen. You can add your fall décor touch by getting leaf decorated dishes and utensils, and a counter piece made of foliage in one of the autumn colors. 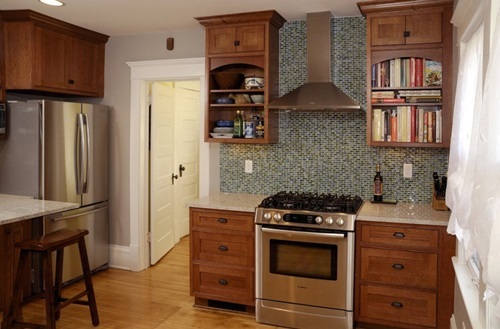 This kitchen will need open shelves for your cookware and to hide your appliances. The built-in grill will save a considerable space and give your kitchen an open air feeling along with a geometric mirror. 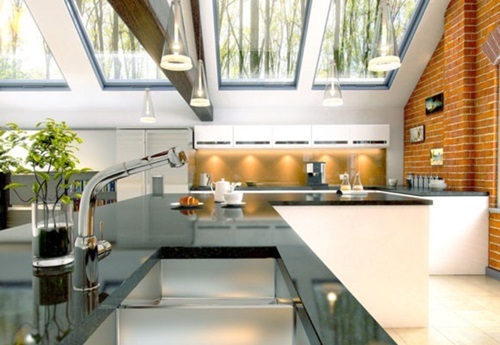 Your minimalist kitchen may be established in your outdoor area surrounded by some trees or in your attic. Your attic will be ideal for the theme of the fall season if it has large windows and surrounding tall trees. This natural atmosphere will be complete by the shining surfaces that will reflect the light coming from the window and a pot of plants placed on the countertop. 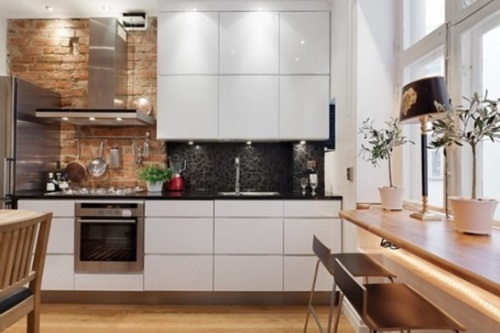 You can use white, black, or shining counters or even a long and straight bench top in a horizontal line and keep them always clean and uncluttered. 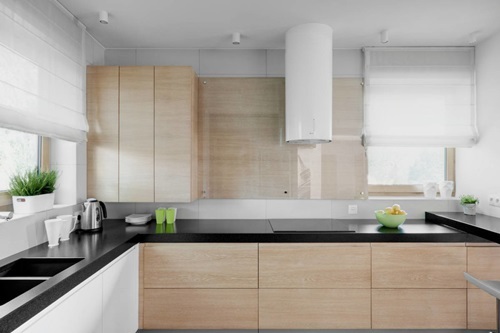 Try to find the minimalist accessories with little details to simplify the design of your minimalist kitchen.